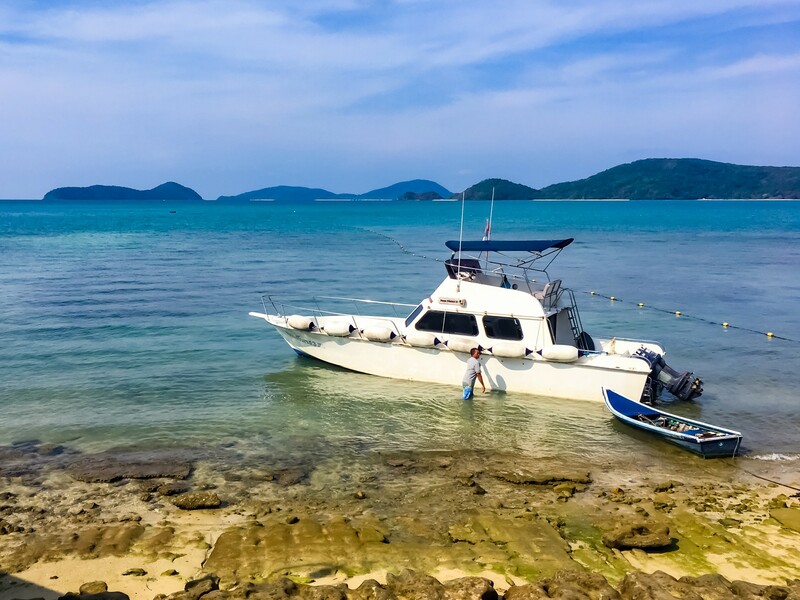 Thailand is one of those destinations where you are completely spoilt for choice when it comes to boat trips and island hopping. 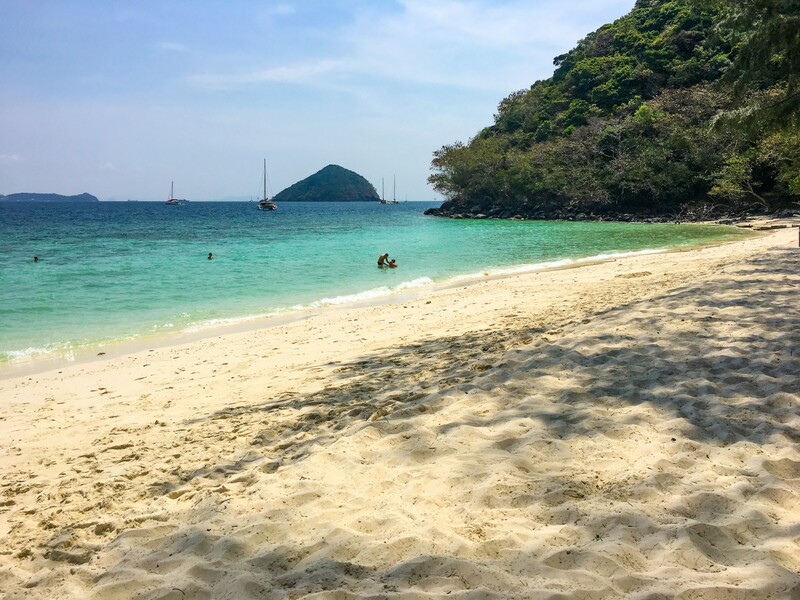 From the Surin Islands to Phi Phi it can be a little overwhelming to know where to go and which islands are worth your time and money to visit. 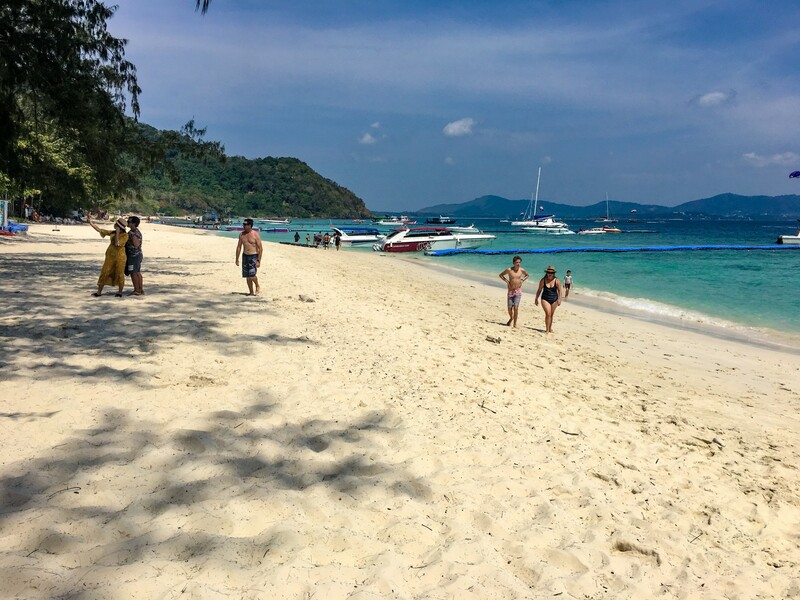 On our recent visit to Thailand we spent a week in Cape Panwa, Phuket and decided to head out on a boat to Coral Island for a day of sunbathing and snorkelling. Our day started early with a minibus transfer from our hotel, Cape Panwa to the sea front at 09:30. This was a small trip with just 15 people so it didn’t take long to board our boat and set off. 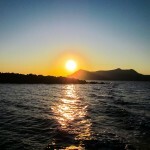 The transfer from Cape Panwa to Coral Island took around 20 minutes and passed by some incredible coastal views and yachts. The sea here was a little rough but certainly not unbearable. 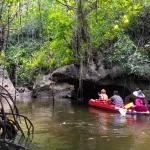 Having arrived at around 10:00, with our hired snorkelling equipment in hand we disembarked from the boat and waded through the shallow sea onto the crisp white sands of Coral Island. The excursion that were we on was due to pick us up from the beach at 14:00 so with only around 4 hours on the the island we wasted no time getting our snorkelling gear on and taking to the water to see what we could find. 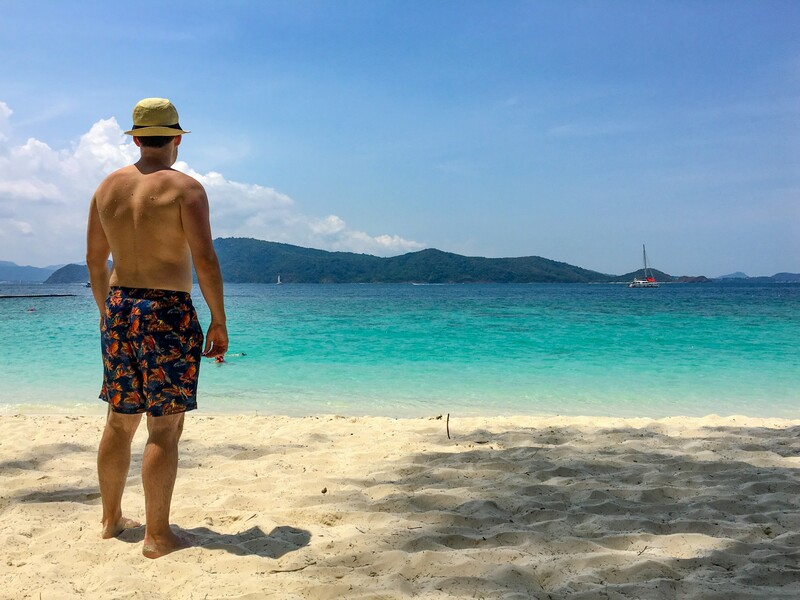 Having been snorkelling at the Surin Islands the previous week I have to say that the Snorkelling at Coral Island was really inferior. The coral here was small and far less developed. The variety of fish species was also somewhat lacking although there were still a lot of fish here to see. Something else worth noting if you are planning a trip here with young children is that there were a huge number of black sea urchins here with huge spines. You need to be really careful not to step on one if you are snorkeling here in the morning in low tide. By 13:00 when the water was deeper the urchins were less of a problem so you may want to consider heading here later in the day to be safer and protect you and your family’s feet. When it came to lunch Coral Island offered the usual assortment of beach bars and restaurants. There’s plenty of places to grab a bite to eat for lunch here which stretch along the entire beach front so you’ll not be short of choice. 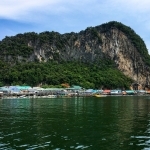 You’ll also find a couple of shops here along with some water sports vendors including paragliding and banana boat rides if that takes your fancy. All sunbathed out the boat picked us up at 14:00 and we sailed a short 5 minutes around the coast to a second snorkelling location. Being in open sea it was a lot better here than snorkelling off the beach but unfortunately for us it still just really lacked that wow factor having been to the Surin Islands first. Should I visit Coral Island? 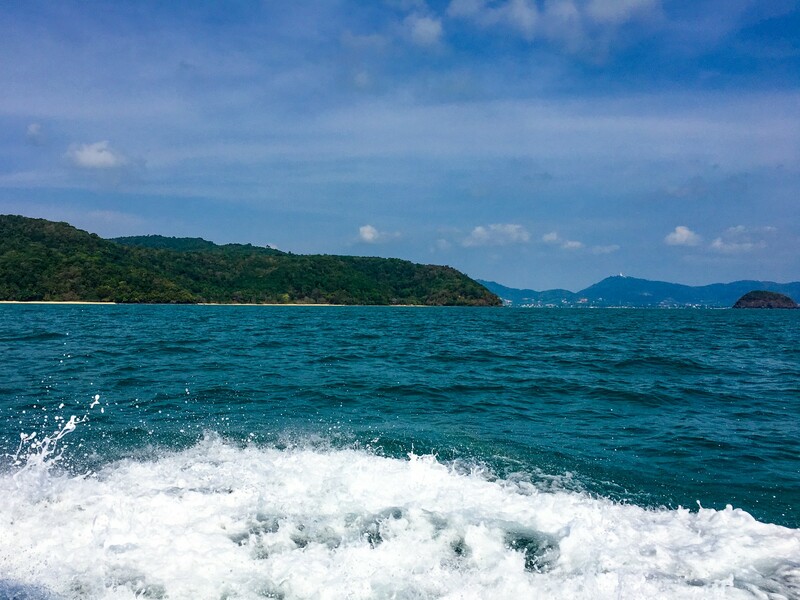 Heading to Coral Island is worth considering if you are just arriving into Phuket and fancy a spot of light snorkelling in the local area. Don’t get me wrong, there’s nothing wrong with heading here however having been on other beach/snorkelling boat trips before this one it felt inferior. The beaches here were more crowded with boat after boat of tourist groups being dropped off and the snorkelling lacked coral and large volumes of marine life. 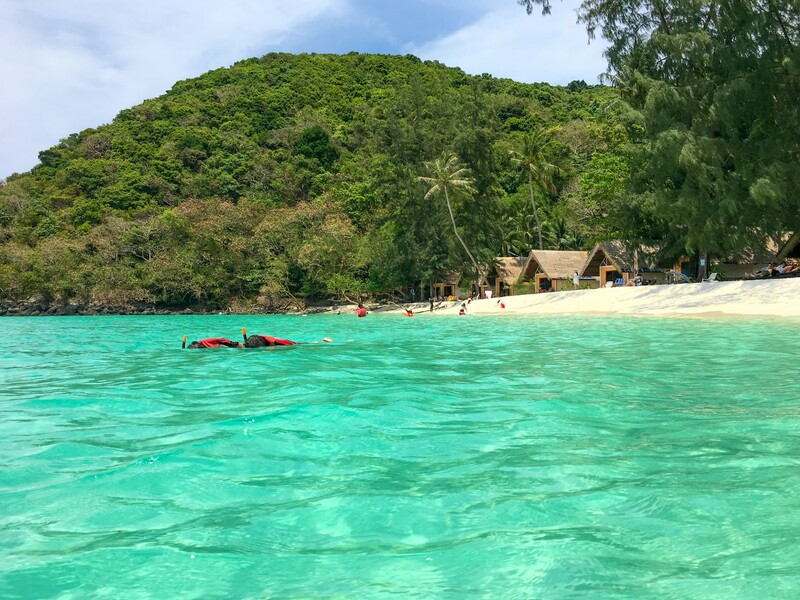 If you want a stronger beach/snorkelling experience you would be better to give Coral Island a miss and head to the Surin Islands which offer very large corals, open sea snorkelling and a huge diversity of marine life. 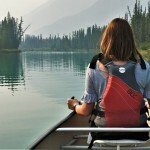 For us this is a far superior day out. 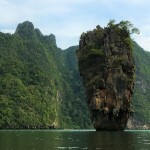 Are you heading to Thailand to Phuket this year and planning a boat trip? Have you already visited Coral Island? Let us know your plans in the comments!